Acute coronary syndromes represent the ultimate clinical expression of biochemical events and pathological processes occurring within atherosclerotic plaques. The sudden or rapidly progressive transition from a stable to an unstable clinical state implies increasing activity within the atheromatous core. Indeed, patients with unstable angina, non-ST-segment elevation myocardial infarction (MI), and ST-segment elevation MI are all at the metamorphosis stage of their disease. 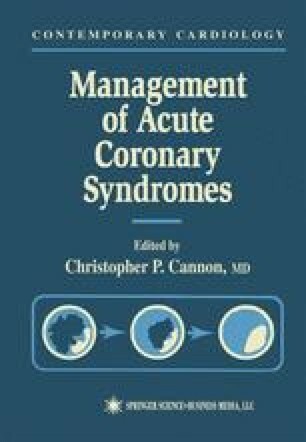 Much like physiologic hemostasis, pathologic thrombosis, representing the final common event that links acute coronary syndromes, represents a response to localized vascular injury and inflammation; however, unlike normal hemostasis, the cascade of events that follows is poorly regulated and responsible for compromised myocardial perfusion and at times cellular death.